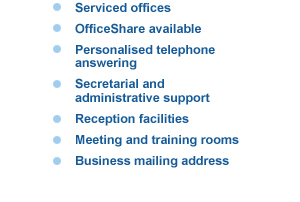 We have introduced a new Service – Office Share. Businesses working individually and together – sharing ideas, resources, contacts and forward plans to assist in their quest for success. Based at our Business and Serviced Office Centre at 6 Whitburn Road, Bathgate, West Lothian – you will have your own work space in your shared Office. Benefitting anyone who needs instant, flexible and ready to work-in office space. Bathgate Business Centre offers up to 30 work units ideally suited to new start-ups and home workers who wish to have a cost effective flexible office solution. The cost of sharing an office is substantially lower than taking on an office on your own. Once your business grows you can then take that next step into your own office.